Android Nougat was released on August 22 but Nexus 5 Android Nougat was missing. 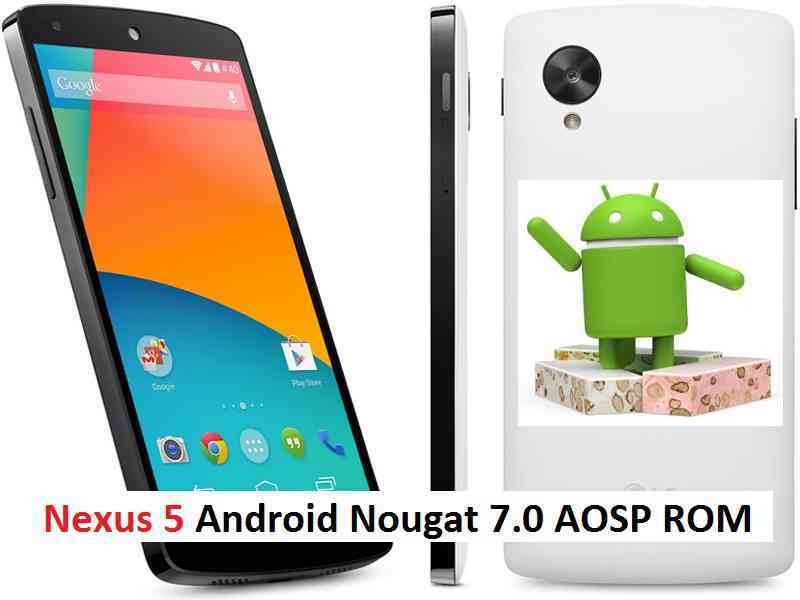 But after the Android Nougat Source code release now the Nexus 5 Android Nougat AOSP ROM is available unofficially from various developers: Santhosh, Cdesai and aclegg2011. Just to inform you Nexus 5 CM14 Nougat Update is also available. In addition to this AOSP ROM for Nexus 5 here we have a collection of Nougat ROMs for Nexus 5. Download the Nexus 5 Nougat AOSP ROM zip file and a suitable Nougat Gapps zip file from the above download link and copy both the files to phone. First flash the Nexus 5 Nougat ROM ZIP from device.